When the news hit about Ohio State president Gordon Gee joking that you "can't trust those damn Catholics," the folks at St. Francis DeSales High School in Columbus probably had a few awkward moments. You see, DeSales is a Catholic high school. And they had secured a pretty nice speaker for their graduation ceremony. Yep, Gordon Gee. There had to be some fear that Gordon The Entertainer would use commencement at DeSales to reprise his audition for "Original Kings of Comedy II" and start swinging on Catholics and Bret Bielema and insinuating SEC students are illiterate, but Gee won't get the chance. 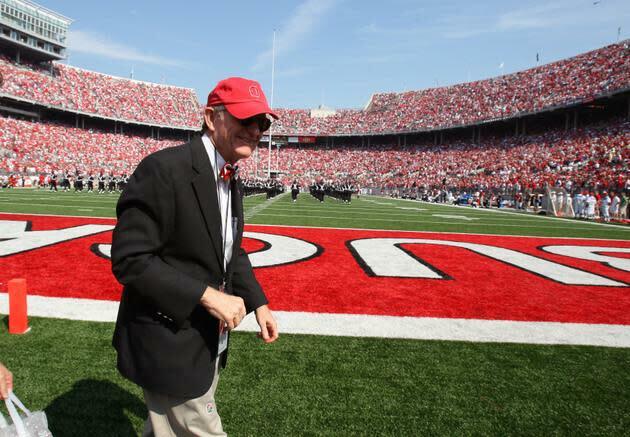 Gee has canceled his speech, set for Saturday, the Columbus Dispatch reported. That obviously allows everyone to avoid a sticky situation, especially because Gee's speech probably would have drawn plenty of media attention. “He really wanted to ensure that the appropriate focus was kept on the young people who are graduating,” university spokeswoman Gayle Saunders said, according to the Dispatch. That's too bad. Gee with an open mic might have made graduation pretty lively.